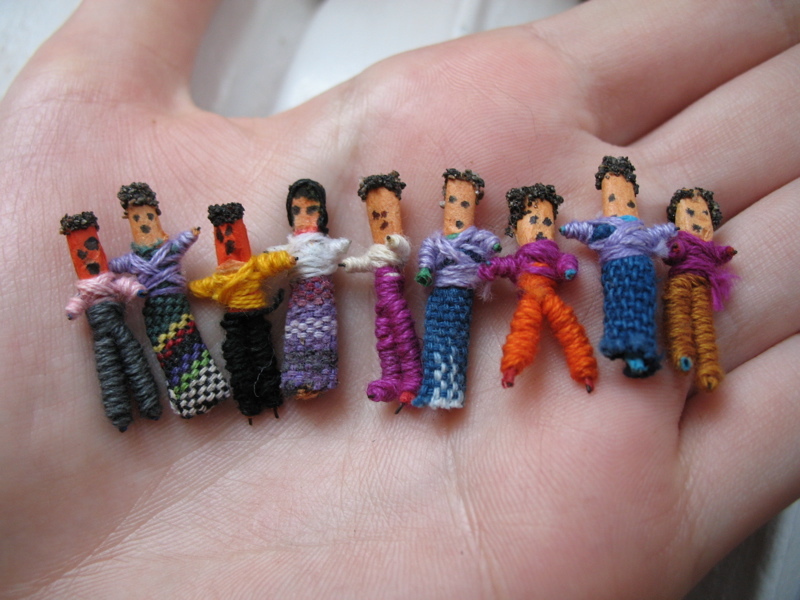 Worry dolls are commonly used in Central America by children, but this doesn’t mean that adults can’t use them too! 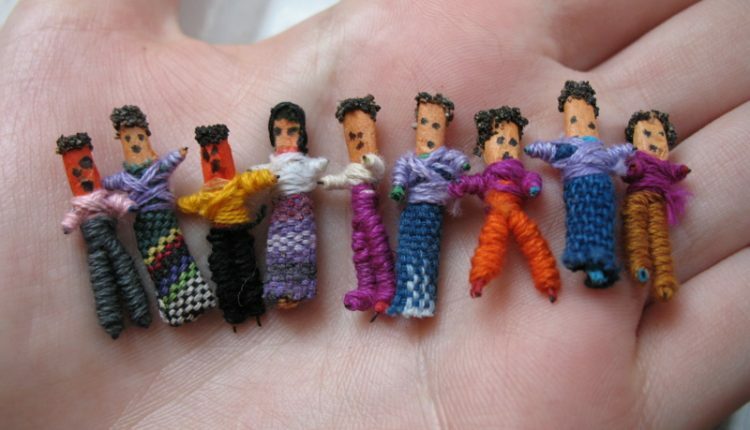 The legend states that if you tell one of your worries to each of your worry dolls before you go to bed, then place the dolls under your pillow and continue to sleep with them there, then by the time you awake in the morning, the dolls will have taken your troubles away (or at least lessen them!). 1. Wind embroidery floss or yarn, in the colors of your choosing, around the toothpicks. Do each arm and leg first. A touch of tacky glue or paste holds the ends of the embroidery floss in place. 2. A small wad of paper separates the legs and forms the base of the head. 3. Attach arms and legs to the body of the doll with some more twists of your thread. 4. Wind the yarn around the top of the wad of paper to make the heads. (you may want to create facial features, but this is up to you!) Add some loose pieces of yarn to the heads to make hair. It is better to make an entire set of the dolls, each with different “costumes” , as it is likely that you’ll have more than one worry! 5 or 6 of the little worry dolls should be sufficient! It is common practice to keep your worry dolls in a little straw box, but you may keep them in a bag or purse if you wish! Worry dolls also make a nice little gift for friends and family.